Card Text: 1B, Pay 2 life: Draw a card. 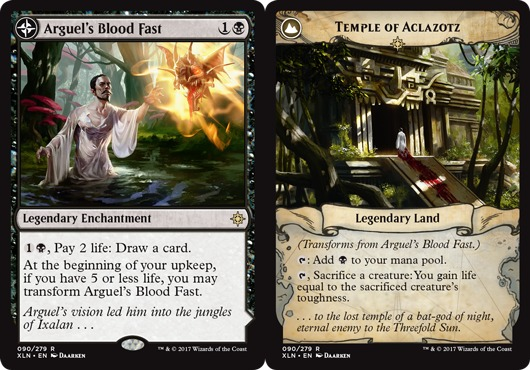 At the beginning of your upkeep, if you have 5 or less life, you may transform Arguel's Blood Fast. 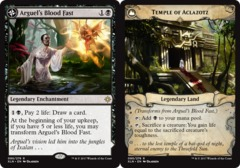 T, Sacrifice a creature: You gain life equal to the sacrificed creature's toughness.